Lenen Theme is a free, 2-column, Widget-ready, xhtml valid and SEO friendly theme created for WordPress. 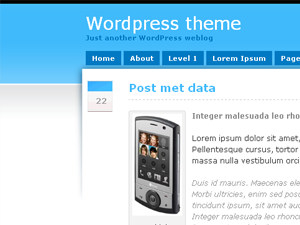 Compatible with wordpress 2.8 + Created by Lenen. 2. Go to Admin WordPress and appearance. Kopieer de onderstaande tekst om te linken naar deze pagina.